Sierra Leone will Monday, November 5, commence validation of its Extractive Industries Transparency Initiative (EITI) implementation process against the 2016 standard, which was launched in February of the same year. The validation, which is slated to run from 5-9 November, would reveal in detail the extent to which countries are becoming more open about how they manage their oil, gas and mineral resources. 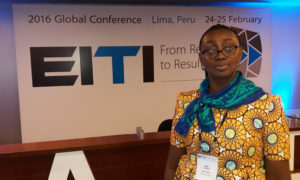 The validation team from the EITI International Secretariat in Oslo, Norway, is expected to arrive in Freetown on Sunday, 4th November to spearhead the entire process. Countries going through validation will receive recognition for achieving satisfactory progress. The EITI Standard was revised to ensure that reports by countries are transparent about which recommendations government chooses to take on and why, and lay out plans for doing so. The 2016 Standard introduces new aspects and breaks new grounds. Sierra Leone was recognized as EITI-compliant by the International EITI Board on 26 April 2014. Being compliant entails that the country regularly publishes the government’s revenues from its natural resources. According to Communications Officer at SLEITI, Mohamed Fernando Conteh, the validation team would pay a courtesy call on Vice President Dr. Mohamed Juldeh Jalloh, who is ‘champion of the process,’ as well as Minister of State in the Office of the Vice President, Ms. Francess P. Alghali. “As part of the validation process, the validation team will also hold consultation meetings with key stakeholders such as the SLEITI MSG, government representatives, civil society groups and mining companies about EITI implementation in Sierra Leone and the governance of the mining sector,” he said. He stated that the validation was intended to provide all stakeholders with an impartial assessment of whether EITI implementation in Sierra Leone was consistent with the provisions of the EITI Standard of 2016.